Reality is simply a common perception of the general public. Perception is caused by an individual's understanding of a certain object or matter. Nothing is actual, everything that we view is from our own perception so not all of us would see the same thing. The meaning of this quote is that there is no reality, as what you see is just what you perceive. One person may see something differently from another, regarding the same situation. 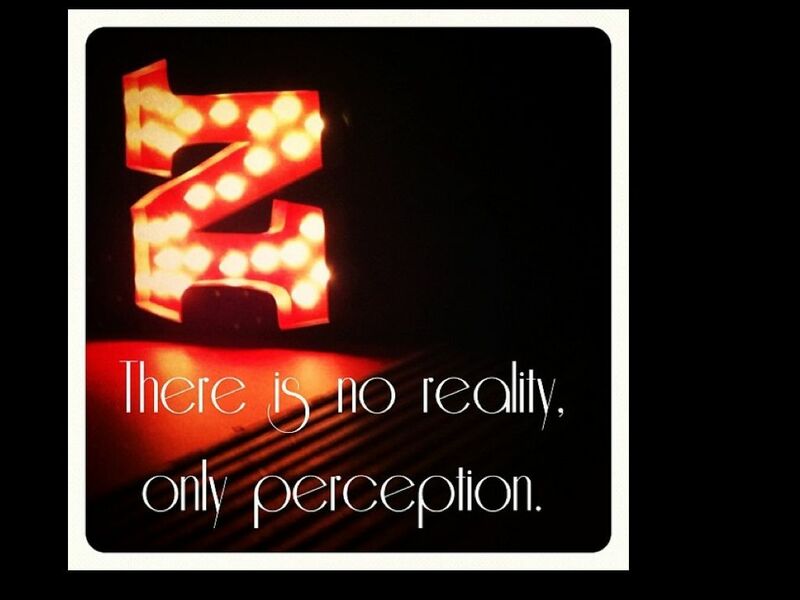 Perception exists while reality does not. We do not know what is the absolute the truth, or whether there is one. Thus, the quote says there is no reality (Which is the absolute truth. ), only perception, which is how each and very individual views the world. That's is why there are different views in the world. Perspective means the way you look at things differently . Reality is the way how most of the people look at things the same way . Reality does not exist as to many people look at things the same way , people would not be thinking out of the box , but still thinking the way how the rest think . Perspective exist as not most of the people would not be thinking the same way as you . Therefore , only perspective exist . reality is just the perception of the things around us. There might not even be a true reality, just the perspective of a single person. However, the person might have a revelation and change his perception of reality, making him think in whole new ways and points of perspective, most likely making him so-called 'gifted'. He might not be exceptionally smart, but he can look at things in a way nobody else can, making him a valuable asset of society. What we experience now may not be what you actually think in your minds, which means that everything that we experience is not reality in itself. Some may think of this, while the others will think of that. It is just a perception. Different people has different perspective. This is why the reality to one changes. In fact, reality does not change, but to different views. everything is based on perception. u might look at a certain object this way while others look differently. This is called perception. 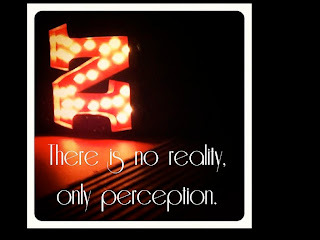 Reality is nonexistent, just perception. There is actually no reality. Nothing is right. It may be right to you but may not be right to others. The "facts" we know may not be true, or in fact, was never true. We think that something is red, but it might not be red to someone else, or maybe that it isn't any color, it's just that our mind just makes up colors for us? There is never a definite right thing, nor a wrong thing, it's all only opinion. The perspective of all of us are different, and so the reality will change from one person to another, depending on the persons perspective. Since all our views are different, we cannot say that there is only one reality. Maybe it's just nothing, but our brain makes everything around us what it is now. And if there was a reality, we wouldn't be able to see i, because we perceive it as something else. Reality can only be perceived as reality, to one farmer (agricultural) reality is tending the fields, and collecting grain. but to another farmer (hydroponic), reality is leaving the plants in the tank and turning on the pump. Reality differs from person to person, it only depends on their imagination and personality.